Since 1991, Tom has assisted more than 800 companies both large and small with their Group Health, Life, Dental, Disability, Vision, Accident, Critical Illness, Supplemental Health, Voluntary Benefits, Executive Life, Property Casuality and much more. He has had training from the largest and most reputable Insurance Companies in the market. Tom has even designed more than one insurance product for companies who respect his industry knowledge so much that they lean on him to assist in running their business! He has also invented systems that are unique to the administration of his clients benefits plans...and, he has never charged any client any extra for his companies unique services that make running their benefits plan an easy task. Presently, Tom has narrowed his focus, specializing in Corporate Employee Benefits, Compliance of Group Health Plans and Technology Based Administration Systems for Employers Benefit Plans in Minnesota. Tom knows the insurance business inside and out. But the key to Tom’s success is TRUST. When our company assisted in creating this website Tom actually asked us to meet some of his clients, as he felt uncomfortable putting words in his mouth about himself! Hard to believe from a man as successful as he is! We interviewed 3 clients and they all said the same thing.."we trust Tom to guide us and know he does so with our best interest in mind" they claimed they had witnessed their employees thanking him after group meeting and stating "This is the first time I have ever understood my insurance, why I have it and how to use it!". W also heard about proof of service examples, such as when he came in off the lake to email an employees spouse who was at the emergency room at 9 Pm on a Saturday night and didnt have her Insurance Card, ha also sent her a claim form so she could get a signature from the Dr on her husbands accident plan so she could file a claim and get their money ASAP! The list goes on...employees love him and the service he prides himself in providing with morals and values he and his team provides. Tom is more consultant than broker, taking the time to educate his clients, guiding them through the decision-making process, and ensuring that they are comfortable every step of the way. With Tom sitting across the table, you will be confident that you are making the best decisions for your company and for your employees. He is a class act. Tom grew up in St. Paul, MN, attending Nativity of Our Lord Grade School and Cretin High School. He spent summers and weekends at his family’s cabin in Ottertail County, where his love for the outdoors began. He graduated college in 1090 from Arizona State University with a BS in Psychology and an emphasis in Business. His first foray into the insurance world was in 1991. He quickly became a top producer for one of the largest voluntary benefits companies in the country, Colonial Life and Accident. Based on outstanding performance and, most important to Tom, customer service, he received numerous accolades and recognitions for his accomplishments. He was asked to sit on the Chairmans Sales Council and was a member of the Presidents Club...both of which only a handful of over 3,500 representatives were invited to participate. Tom began brokering group employee benefits along with supplemental benefits in 1997 with a large brokerage firm in the Twin Cities. In 1998, he earned his commercial property casualty license and expanded into P & C, continuing to broker group employee benefits, as well. In 1999, he was offered and accepted a regional manager position with Conseco Health. 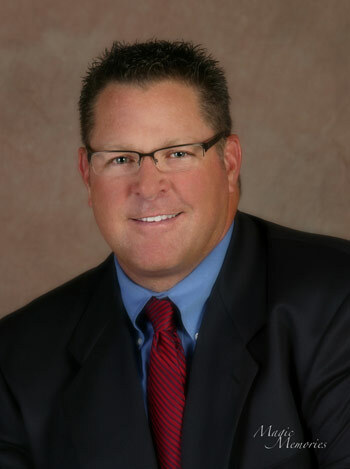 He moved back to Arizona and managed over 850 group clients and 35 insurance representatives in Arizona, New Mexico, and California. Finally, in 2001, having acquired the skills and knowledge needed, Tom founded Worksite Marketing LLC. Today, his firm has transitioned int Innovative Employee Benefit Solutions Inc. and is the largest Corporate Employee benefits Brokerage Firm in West Central Minnesota. When not tending to the needs of his clients, Tom is living his dream on a trophy walleye lake in "The Lakes Area". Fishing is his first love, however, he is also an avid hunter, enjoys riding his Harley, gardening and the occasional round of golf.